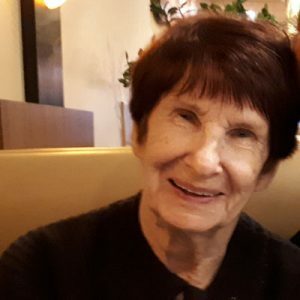 Jan passed away on April 3, 2019 at the age of 84. She is survived by her son Cliff Glowa, grandchildren Chris and Corey Glowa, daughter-in-law Brooke Tackitt, great grandchildren Aydan and Donovan and brother Ed Kozera. Predeceased by her husband Wilfred Glowa. Jan will be remembered as a very loving, helpful and social person, who had a zest for life. She loved her family dearly as well as the people around her—everyone was important to her. We have fond memories of her working at the coffee shop where she made forever friends. The family is very appreciative of her neighbours who helped Jan with her struggles in the later part of her life. In lieu of flowers, donations may be made to the Parkinson Society British Columbia, 600 – 890 West Pender Street, Vancouver, BC V6C 1J9 www.parkinson.bc.ca. There will be no service. Parkinson Society British Columbia, 600 – 890 West Pender Street, Vancouver, BC V6C 1J9 Link: www.parkinson.bc.ca. The service for HAMILTON, Jan is scheduled for No service . Below you will find the map for the service location and the contact information should you have any questions. A wonderful lady who created a wonder family legacy. Always a bright smile and warm heart. Love and hugs. Momma Jan, a bright ray of sunshine wherever she went. Her home was your home. Her family was your family. She always made your day brighter with her laughter and smile. Our surrogate mom that treated us like her own. She will be forever missed but always remembered. Our fur babies were her fur babies and now she is with her fur babies who were waiting for her to bring on the biscuits. Our deepest sympathies to cliff and family. Rest In Peace momma. P.S. don’t let Rambo it all the biscuits..